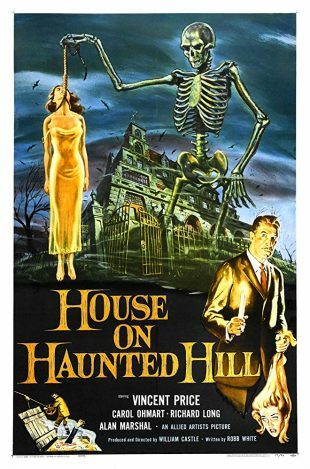 The second horror feature from prolific B-movie factor-turned-producer Wm. Castle, this flick may well serve as the template for Scooby-Doo’s many eerie mysteries. It’s also a clear precursor of Clue. Not only is at least one line lifted nearly verbatim nearly 30 years later in that farce, the House in question harbors secret passages, guns and ropes, people who have “never met,” the whole nine yards. Vincent Price may not be quite as over-the-top as Tim Curry, but nobody else acts as poorly as Lee Ving, either, so call that a wash. Anyway, this film concerns a group of people who have to survive the night in a HAUNTED HOUSE for some sort of payoff, a now-familiar setup. 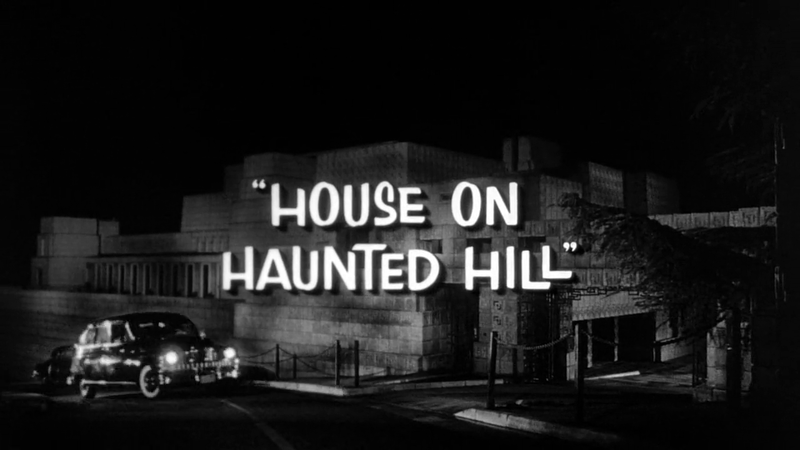 Released the same year as the publication of the Shirley Jackson story “The Haunting of Hill House,” House on Haunted Hill predated The Haunting – which was based on the story – by four years, which isn’t confusing at all. Truth be told, this picture was a lot better than I expected it to be, even with its red … herrings and some impossibly goofy scenarios and characters. 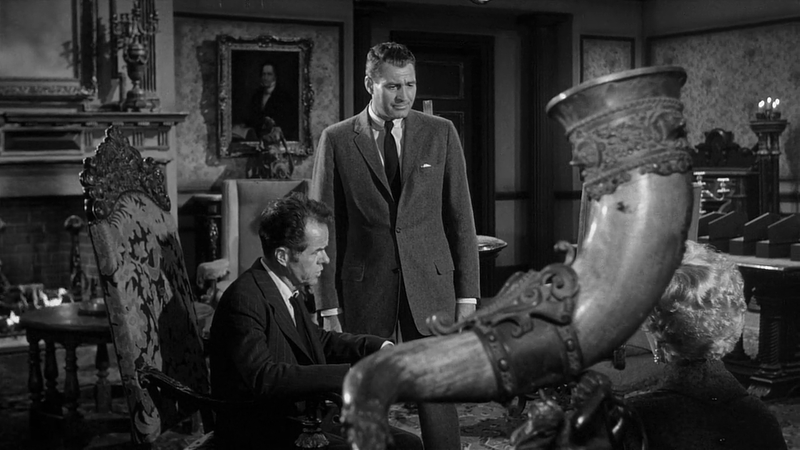 It holds a few legitimate frights, too, and more than enough implausible moments to satisfy anybody. I was informed I had to make up for the Vincent Price gap in my viewing, and I’ve been intrigued by Castle’s huckstering since reading S. King’s Danse Macabre in, like, 1983. PLUS, it’s a song by the Didjits from their worst album. At 75 minutes, it won’t take up much of your time – and you can watch the whole shebang on its Wikipedia page. The basement of the house contains an easily accessible pit filled with acid – perfect for dissolving bodies – which seems farfetched.